Hiring a St Paul commercial remodeling company is not that drastically different from hiring a residential contractor. After all, just as a home remodeling job involves space expansion, reworking utilities, and new equipment, so does a commercial remodeling job. However, while the standard home remodel must meet home construction codes, commercial remodels have to meet even more stringent coding. Consequently, it is vital that you hire a remodeling company that understands what is necessary. In most cases, it is recommended that one hire a commercial contractor who has the experience of working on a commercial property. If you are planning a commercial remodeling project, then there are several other things to keep in mind. * Take your time when choosing a commercial remodeler. Set up a series of consultations with St Paul commercial remodeling companies and show them your plans for your new space. Listen carefully to their suggestions, but be equally sure that they are listening to your wants and needs, too. Be sure you discuss payment schedules, the availability of any large equipment or tools that will be used and a timeline with projected finishing date. Then narrow down who will be your best Twin Cities commercial project management company. * Recognize your remodeling project goals. Ideally, a St Paul commercial reconstruction will not disrupt the flow of your company’s business day. This is especially important if you are a retailer as even one day’s loss of revenue can make a significant difference. Another common goal should be the safety not just of the commercial remodeling crew, but also that of your employees and clients. Loud noises, sawdust, paint fumes, etc. can make working conditions difficult for all. It is for this reason that you might wish to talk about the flexibility of the remodeling team and if they can do some of the more noisy or strong fume producing jobs after your standard work hours. 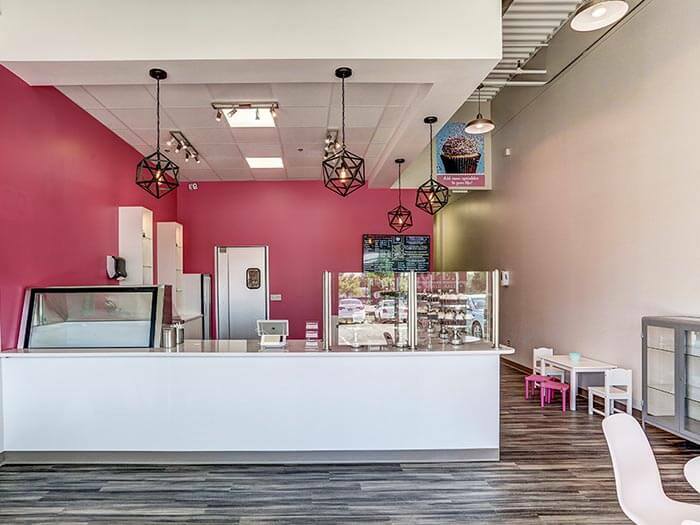 A commercial remodel should include the colors, architecture, lighting and other elements that will reflect who your company is and what you have to offer. No matter how much new space you have, how gorgeous that granite countertop is or how much that color accents the flooring, you don’t want your remodel to cause a disconnect between who yor are! Be sure that the commercial remodeling crew understands this vision and will work with you to achieve it. Remodeling your commercial property makes your workspace more enjoyable and usable for you while making it more enticing for your clients. But, you don’t want to hire just anyone to do the job. Take your time in the interview process to ensure that you and the commercial remodeling company have a clear understanding of every facet of the project. For commercial property owners, the first step in finding a commercial developer or general contractor is organizing a solid look at what you want and need in terms of new construction or a renovation project. A well-defined remodel plan sets the tone for success, whether it’s an office building, restaurant, spa, hospital, retail, industrial or mixed-use tenant space. We help our clients gain clarity at every step of a remodeling project, document that, and ensure end success. You can confidently align your selection criteria with those project needs and wants to meet your remodeling goals. Titus Contracting offers friendly, courteous commercial remodeling services that include daily clean-up, communicating updates, and that over long-term value for your commercial properties. You will love our fair and reasonable prices. The St Paul commercial remodeling team of Titus Contracting would love to help you with your remodel. Contact us today by calling 952-764-7817 or Contact us Online to get started on your new space.